The side height is 3m. It is with expand screw for fixing on concrete ground or steel anchors for fixing on the lawn. 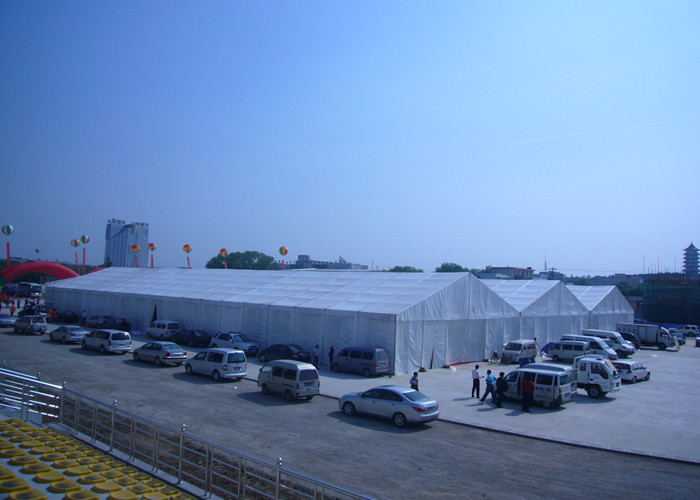 The tent length and height can be customized according to the function. No any pole inside,100% space is used. 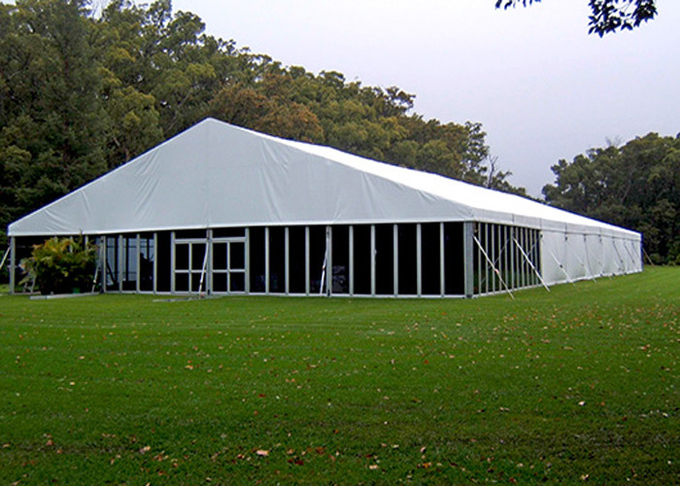 The tent is put up by screws, easy to be assembled and dismantled. 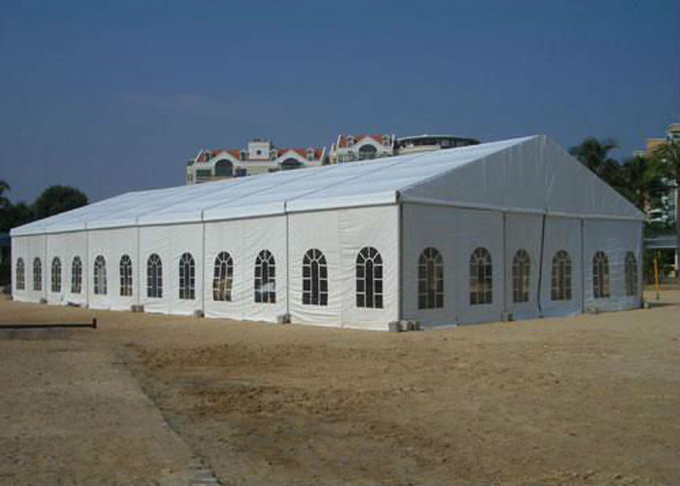 This tent can be put up by hand. The glass walls and doors can be easily took off. 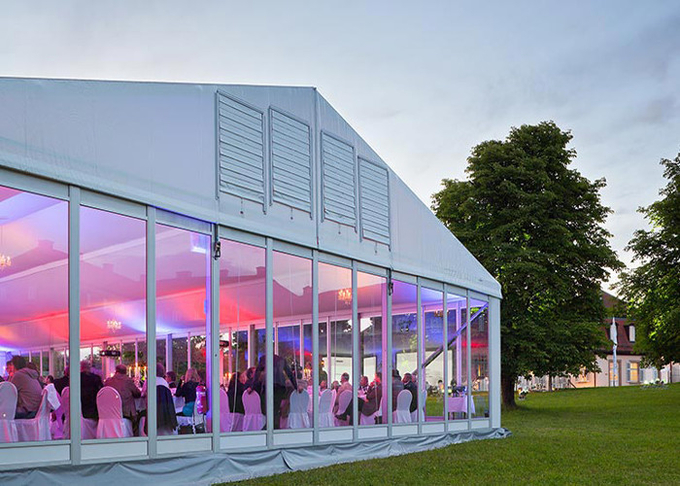 The length can be shortened or extended according to your events. The parts can be taken down, which is easy to transport and store.